This gorgeous personalised silver Cornish engine house necklace is handmade in Cornwall and finished with copper details. The back can be personalised. All over the world the engine house is synonymous with Cornwall. Holiday in Cornwall and you’ll see one on every horizon. 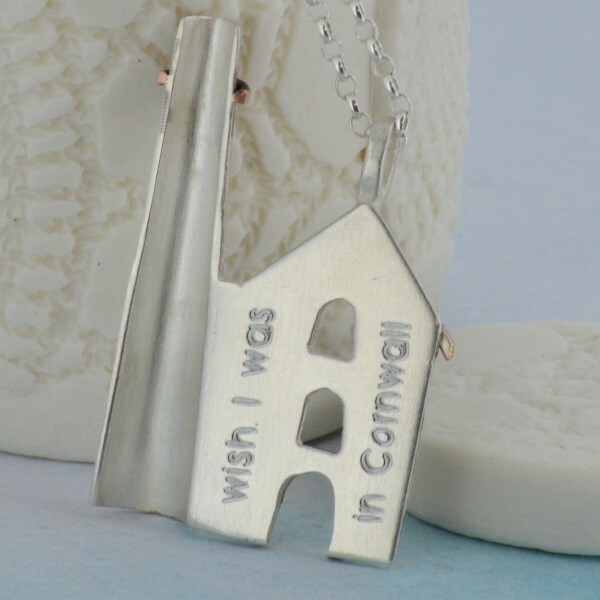 This pendant would make a perfect gift for anyone who has Cornish roots or who is a little in love with Captain Poldark! 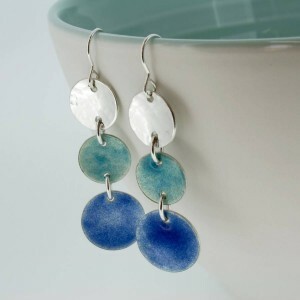 It would be great for a birthday or anniversary. 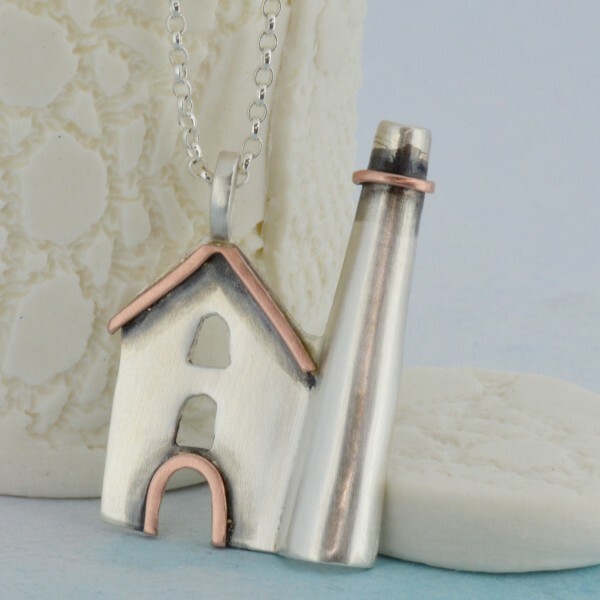 This stylish necklace is made from sterling silver with cut-out windows and copper detailing. The surface has been slightly oxidised to give it an authentic “old tin mine” look. The belcher chain is available in two lengths 16″ or 18″. The back can be personalised with up to 20 characters divided over two lines (ie 10 characters on each line – see image of back of pendant). 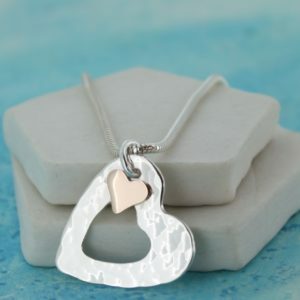 If you select the giftwrapping option, the pendant will be presented in a jewellery box inside a special gift bag which reads “Handmade just for you”.